What do modern Marvel and DC movies teach us about life on other planets? Is a religion being developed from comic books and blockbuster films? How do we defend against the devilish doctrines being promulgated today? Where is the line between entertainment and deception? It all goes deeper than you might think. Find out the answers to these questions and more as Derek P. Gilbert, Josh Peck, and Dr. Michael S. Heiser discuss their latest, most ground-breaking research into ETs, UFOs, and the Official Disclosure Movement! IT’S THE BIGGEST GIVEAWAY OF 2017!! $300.00 IN FREE BOOKS, FREE DVDS, FREE AUDIO SERIES & MORE JUST IN TIME FOR CHRISTMAS! IT’S THE BIGGEST GIVEAWAY OF 2017!! 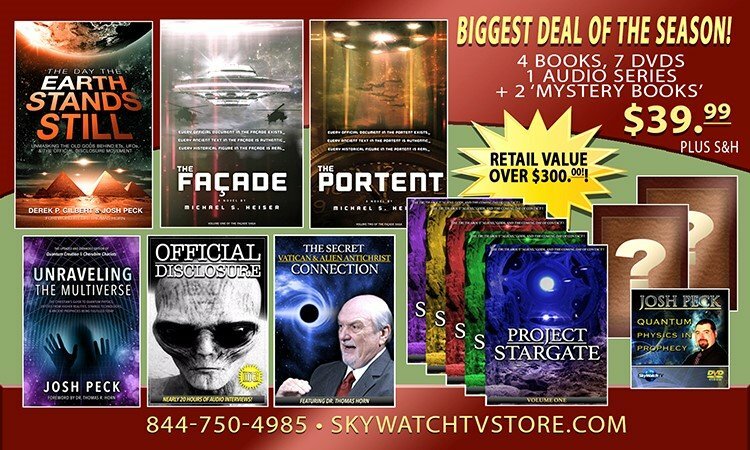 $300.00 IN FREE BOOKS, FREE DVDS, FREE AUDIO SERIES & MORE JUST IN TIME FOR CHRISTMAS!